Every year, at some point the sun starts shining in Dublin, and those crispy canal cans start calling like an addiction you just can’t disregard. Sunshine + Irish people = one of the great miracles of the world. But every year our canal gets destroyed and we’re looking for a way to help solve this problem. In 2018 we decided to put our #Greentonic hats on and come up with a solution. We invented the BIN IT TO WIN IT campaign. And if you’re a local business/organisations/crew…. 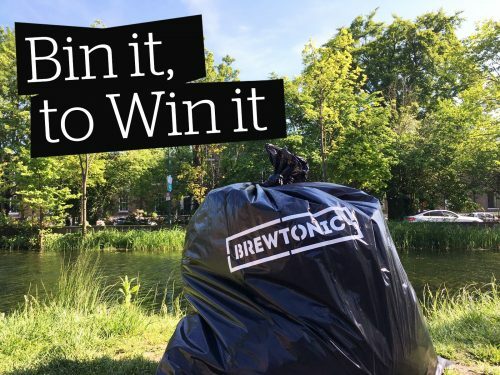 If you are a local business or office based on or near the canal – situated anywhere between Clanbrassil St Bridge and where the canal meets the liffey/sea – and would like to get some bags off us hit us up below. If you run a bar, cafe, retail business, and have the facility to collect and clear the rubbish collected and give someone something free in return, reach out to us too? It would be amazing if more businesses got involved – the more the merrier!